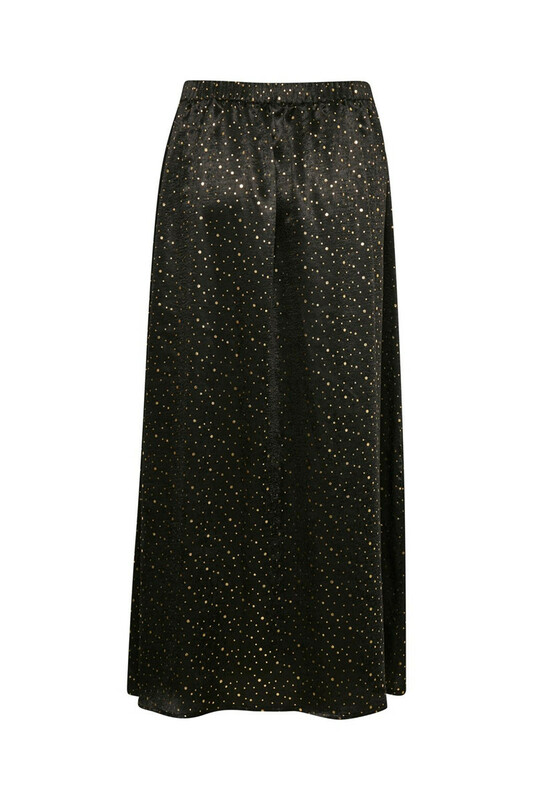 Amazing and lightweighted maxi skirt from CULTURE. What a beauty! It is so comfortable in quality. The skirt has an elastic waistband, which makes it possible to wear it high as well as low waisted, whatever you prefer. 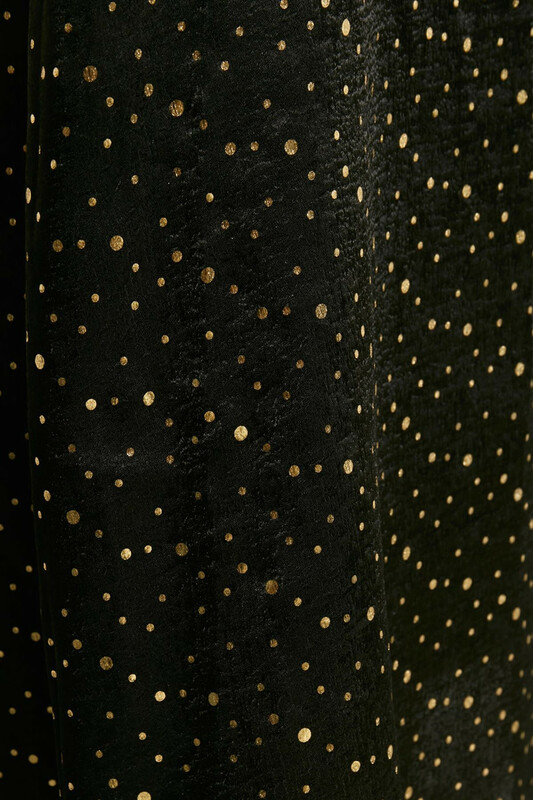 The skirt is A-line in the model and has a really beautiful print with different small scatter spots. 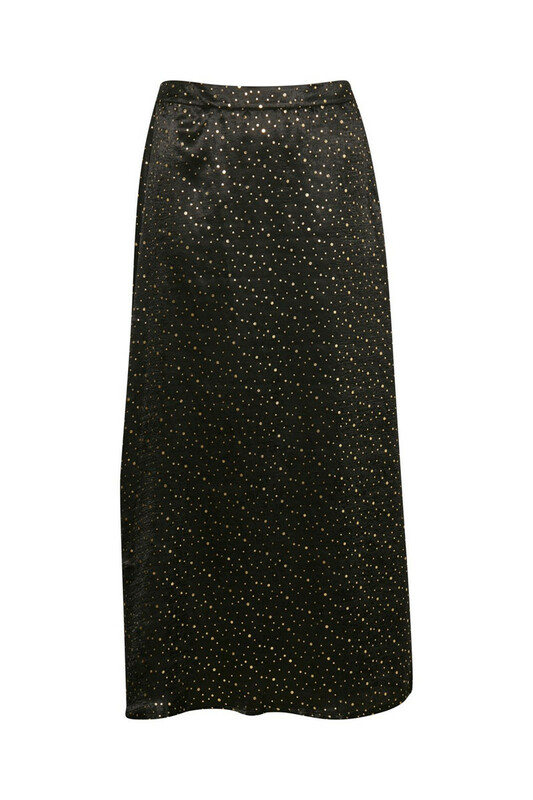 The long skirt can be used for both parties and everyday use.